World Water Week is the annual meeting place for the planet’s most urgent water-related issues. Organized by Stockholm International Water Institute, it brings together the world’s experts, practitioners, decision makers and leaders to exchange ideas, foster new thinking and develop solutions. World Water Week opened in Stockholm on Monday August 22nd with calls for better urban water management to ensure food and water security. 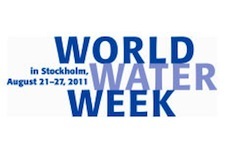 Around 2,500 experts from some 130 countries are attending the 21st edition of World Water Week in Stockholm. They are working on preparations for the United Nation’s conference on sustainable development set to be held in Rio de Janeiro in June 2012. The group expects to publish a declaration at the end of this week (August 26). Despite the U.N.’s adoption of a resolution recognizing access to clean water and sanitation as a human right, 1.6 billion people continue to live in areas affected by drought, and that the number could easily rise to two billion without immediate efforts to manage the situation. As the migration from rural areas continues, 830 million poor currently live in urban areas. Such rapid growth is straining natural resources and infrastructure. These areas often lack water and sanitation services which is a leading cause of mortality for both children and their mothers. Investments from governments and companies now will pay dividends later. On Monday, August 22nd, the Global Water Adaptation Action Alliance (GWAAA), World Bank and Conservation International (CI) discussed climate and hydrological regimes determining water availability, and how well institutions are managing water resources. This session addressed the challenges of balancing energy, food and ecological security in a changing climate. It provided an interactive forum for overcoming barriers to respond sustainably to emerging conditions. On Tuesday, August 23rd, the Water Footprint Network (WFN) & Swedish Textile Water Initiative (STWI), Coca Cola Europe, The Nature Conservancy, and others addressed the Sustainability of Water Footprints: From Assessment to Strategic Response. They presented innovative research and case studies from both the public and private sectors to demonstrate this cutting edge of the water footprint assessment. As explained in the session, by unlocking the information embedded in the water footprint, all actors can take the most effective action toward reducing the impacts of water use. Also on Tuesday, August 23rd, Ceres, Global Environmental Management Initiative (GEMI), The Nature Conservancy (TNC), WBCSD and the World Resources Institute (WRI) addressed Corporate Water Risk Management: Seeking Solutions. The session explained that water risk and its management are important to business and stakeholders. Companies are partnering with others to better understand risks, reduce impacts, seize opportunities and, ultimately, drive change towards more sustainable practices and policies. Solutions involve use of innovative tools, a selection of which were showcased, along with user experiences and exploring how they fit together. On Wednesday, August 24th, FAO Rome, UNESCO, Stockholm Environmental Institute, King’s College London, International Youth Council, Women for Water Partnership, SIWI, Value Chain Development, University of Nebraska, WWF, World Bank, GWP, and more discussed World Water Day 2012 – Water and Food Security: Call for Solutions. This much anticipated debate focused on the viability of water and food security solutions. The core topics debated were: innovation or traditional methods; intensification or greener agriculture; food import or self sufficiency; increasing food production; or reducing food waste and adopting sustainable diets. Also on Wednesday, August 24th, Building Partnerships for Development in Water and Sanitation (BPD), Stockholm Environment Institute (SEI) and Adviser on Urban Environment and Development (WASTE) discussed Understanding the Opportunities for Entrepreneurs in Getting Sustainable Services to the Poor. Interest in market-based approaches to solving development challenges continues to grow. This session explored the different markets and incentives for sanitation service supply chains and discussed new business models to engage the private sector. On Thursday, August 25th UNEP, UNESCO, WHO, FAO, French National Committee of International Commission on Irrigation and Drainage (ICID) & French Chapter of the International Water Association (ASTEE) addressed the question, Which Water Quality for Which Uses? A Regulators’ and Practitioners’ Perspective. How can water quality standards and guidelines protect water resources for multiple ecosystem services, and water uses? Key policy-makers, regulators, and researchers from around the world discussed the development of international water use guidelines, drawing on the results of the recent UNEP-UNESCO study. Given the amount of water used by industry, the business community has a crucial role to play in sustainably managing water. According to some estimates, it takes 16 gallons of water to produce a single microchip, one pair of jeans takes 2,900 gallons, a single hamburger takes 634 gallons, and one cup of tea takes 9 gallons. Although businesses seem to be increasingly focused on energy, many are less focused on water. However, there is an intrinsic link between water and energy. The business community needs to tackle the energy and carbon implications of supplying clean water and disposing of wastewater. The Energy Saving Trust has produced a report on quantifying the energy and carbon effects of water saving. The focus is on domestic use, (i.e. households), but we need to see more focus on business and industry. Although it is an uphill struggle getting sustainability professionals to accept that all of our natural resources need to be used sustainably and managed in combination with one other, some businesses are making major efforts. A recent Greenbiz article interviewed sustainability professionals that are taking significant steps to reduce their companies’ water footprints. For example, Intel recycled 2 billion gallon of water in 2010, and MillerCoors brewery is planning to save as much as 16 million gallons of water. Since 1998, Intel has invested more than $100 million in water conservation programs at their global facilities. To date, the company’s comprehensive and aggressive efforts have saved nearly 40 billion gallons of water — enough for roughly 370,000 U.S. homes for an entire year. Intel also harvests as much water from its manufacturing processes as possible and directs it to equipment such as cooling towers and scrubbers. Since February 2007, the Dow Chemical Company facility in Terneuzen, Netherlands, has been reusing municipal household wastewater to help preserve community water supplies and reduce demand for desalinated water in a water-stressed region. Every day, Dow takes 2.6 million gallons of municipal wastewater and applies reverse osmosis technology to reuse the water twice. More than 70 percent of the wastewater is reused in manufacturing plants, and then used again in cooling towers before it is released into the atmosphere as steam. This purification process requires half the chemical treatment and 65 percent less energy than desalinating the same amount of sea water, and the energy savings are equivalent to lowering carbon dioxide emissions by 5,000 tons per year. Levi Strauss & Co. is working to build sustainability into everything they do, including reducing the water used throughout the life-cycle of their products. Based on their research, they know that they can reduce the most water by focusing on more sustainable cotton farming and by educating consumers about how they care for their products. They are also reducing water use in the part of the supply chain where they have more direct influence. The company has challenged itself to reduce the amount of water for a pair of jeans from an average of 42 liters of water to as little as 1.5 liters. For MillerCoors, water efficiency is critical to their business, and they are focused on working towards their 2015 goal of reducing overall water usage by 15 percent. They are testing new innovations in their breweries to reduce or replace water-based processes completely. Anheuser-Busch is making progress towards their ambitious water reduction goal. Their success so far is based not on one big innovation or major investment, but on a system-wide approach that relies on integrating sustainability into the DNA of their management philosophy, not just on technology upgrades. 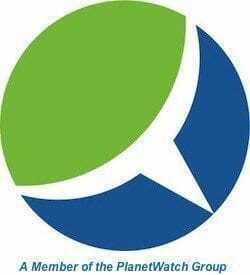 The company has introduced measurable, aggressive water conservation targets which they have linked to individual rewards. They have reduced their global water usage by 6 percent in 2010 and by more than 19 percent since 2007, saving the equivalent of nearly 16,000 Olympic-sized swimming pools over three years. MGM Resorts International is acutely aware of its responsibility to minimize its use of water. They take a comprehensive approach to this challenge, and look for innovative ways to reduce their consumption. The Coca-Cola Company aims to maintain a water sustainable business on a global scale, so they developed and implemented a water stewardship strategy, with a global goal to safely return to nature and to communities an amount of water equivalent to what they use in their beverages and their production by 2020. Since 2005, with the help of respected partners like WWF and USAID, Coca-Cola has engaged in more than 320 water projects in 86 countries. Projects have focused on watershed protection and conservation, expanding community drinking water, sanitation access, and improving water for productive use. SABMiller India is working to protect the water supply for the brewery and local farmers. The region has traditionally suffered from over-extraction and poor water management, which has resulted in a significant drop in the aquifer level, posing serious risks to both SABMiller India and the livelihoods of local communities. In response, SABMiller India worked with local partners to construct four water recharge dams to prevent excessive water run-off and facilitate the natural water replenishment of the groundwater. Since their construction, it is estimated that there has been a net rise of the groundwater by 31 feet, representing almost as much water as was extracted last year by the brewery. Additionally, SABMiller helped local farmers reduce their water use by establishing demonstration fields in 10 local villages to showcase water-efficient irrigation techniques and crops. Farmers that took on the improved plant varieties have decreased their water usage and improved their incomes by as much as 147 percent. Due to the complexity of the issues surrounding water scarcity, cross-sector collaboration is crucial to establishing successful strategies for water management in business and industry. New partnerships are required that evaluate water risks in the value chain and share best practice to manage these risks. Collaborative approaches to water management deliver positive results for entrepreneurs, water companies, global corporations and domestic water users, which in turn secures positive outcomes for both local communities and businesses. Our daily activities as well as our approach to the environment in this particular area can really help to put a halt to the adverse effects of climate change on our lives. I was surprised when I found out the other day that the drainage systems we all have in our gardens contribute a great deal to the way water circulates in the environment and that their design may have a damaging impact upon the eco-friendliness of our homes’ exteriors.